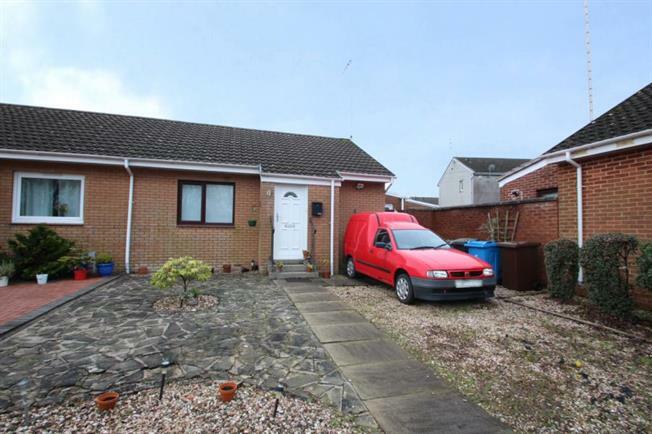 1 Bedroom Semi Detached Bungalow For Sale in Glasgow for Fixed Price £158,000. Nestling within a quiet cul-de-sac with open views to the front, a rare opportunity to acquire a beautifully presented semi detached bungalow that will ultimately appeal to the professional and retired market alike. The home comprises of entrance vestibule, lounge/ dining room,modern style fitted kitchen, conservatory, double sized bedroom with fitted wardrobes and high quality three piece shower- room . The home sits within well good sized tended garden grounds with well stocked borders and a decked patio , with off street parking by way of a driveway to the front. Modern features include gas heating and double glazing. Dalrymple Drive offers convenient access to local and high street shopping facilities with regular bus service within easy walking distance. A home of this and quality within this preferred address merits early viewing.